The dream of every business owner is to get their website listed on page one of Google.In order to do this, you must understand a few things about website traffic. The first is that almost 52 percent of all traffic to a website comes from bots – electronic spiders that are crawling your site either for the purpose of indexing your pages or trying to hack into the site. Clearly, security and optimizing your page for the bots to understand your site (and thus list you on page one for a specific term) are critical. The second thing to understand is that Google doesn’t just index your website, but it indexes individual pages within your website (that is why the bots are crawling your site). Your goal should be to get every single page of your site indexed by Google! 1. Drive the traffic to your website yourself. 2. 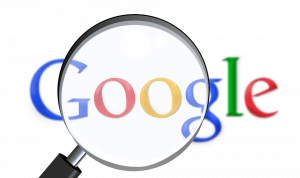 Pay Google to list your site on page 1. This is known as paid search. The good thing about paid search is that you can get your site listed on that coveted page one slot if you are willing to pay enough. The average CPC on the Display Network is under $1. The most expensive keywords in AdWords and Bing Ads cost $50 or more per click. Using paid search also provides the advantage that you may very well show up on numerous other websites as well. 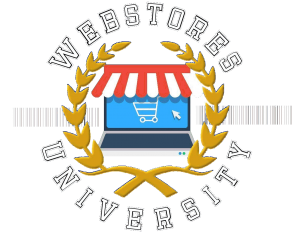 WebStores specializes in retargeting ads that allows you to have your ads follow someone around the internet. Learn more about digital advertising here. 3. Organic Search, commonly known as SEO or Search Engine Optimization. This is the Holy Grail of ditigal marketing, and WebStores Ltd can help you accomplish this. There are two sides to SEO: on-site and off-site factors. Greg Jameson provides a comprehensive list of these in his book, Amazon’s Dirty Little Secrets.”Most SEO companies focus on the on-site factors, things like title tags and images. While these are important, it turns out that off-site factors, including relevant links from sites like YouTube are much more critical to your success. Start by taking our free online audit of your website. This will point out areas that can be improved upon. This tool is totally free and you can take these recommendations to your webmaster or make the changes yourself. Of course, we’d love to help and we know some specific things that will get you to that coveted first page. WebStoresLtd offers monthly packages for selected keywords to help you maintain your presence on the search results page. Custom landing pages optimized for your keywords. Take the SEO Audit then call us today to get started! Click here to see how much SEO services cost.